Support options to meet your needs, whether you are getting started or already deploying business-critical workloads on Azure. If you're using Azure in a non-production environment or just trying it out, the Developer plan provides unlimited technical support during business hours. When you're running a production workload on Azure and need a fast response, the Standard plan provides you with unlimited technical support 24/7. If you need faster response times, advisory services and high-severity incident escalation management from a collaborative account management team, choose Professional Direct support. If you need company-wide support across Azure and other Microsoft technologies, consider Premier Support. Explore get started guides, SDKs, tools, documentation and more. Understand Azure support plans, terminology and how to use support. Troubleshoot issues signing up for Azure. Get tips for monitoring usage and understanding your bill. Get personalised recommendations to optimise your Azure resources. Get personalised guidance and support for when issues in Azure services affect you. Read the SLAs to learn about our uptime guarantees and downtime credit policies. Engage with Microsoft engineers and Azure community experts. 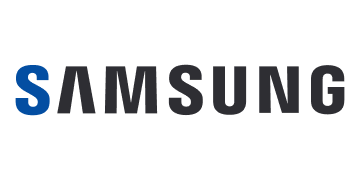 Samsung reduces costs, increases reliability for smart TV services with cloud solution. Managed services provider uses enhanced support service to ramp up cloud business. Web sales soar 200% as Garuda takes open source e-commerce sites to Microsoft Cloud. Financial services company gains big dividends from applying best practices.